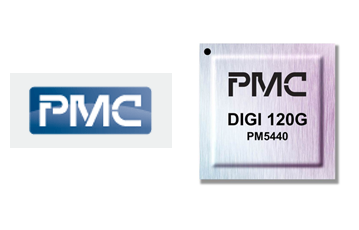 PMC introduced a single-chip OTN processor supporting 10G, 40G and 100G speeds for OTN transport, aggregation and switched deployments. The new DIGI 120G is designed to support on-demand re-sizing of ODUflex from 1G to 100G, as well as 10G, 40G and 100G speeds. PMC said this allows for the efficient sharing and dynamic assignment of network resources, enabling OTN networks to effectively virtualize optical network bandwidth to meet the elastic traffic demands of Big Data. The processor could be used in multiservice OTN muxponders and OTN switching cards to enable efficient aggregation and grooming of lower speed services into 100G. The new DIGI 120G supports various configurations, including 12 ports at 10Gbps, 3 ports at 40Gbps or 1 port at 100Gbps. Broadcom introduced a new line of Optical Transport Networking (OTN) Framer physical layer transceivers (PHYs) promising higher levels of integration, lower power per port and lower overall bill-of-materials. 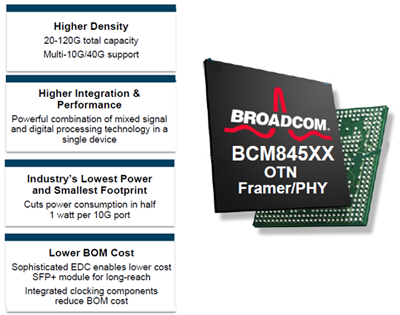 Broadcom's new OTN PHY line includes the BCM84520 20G version, the BCM84540 40G version and the BCM84512 120G version. Each device combines mixed signal and digital processing functionality including high-speed PHY, Electronic Dispersion Compensation (EDC), clock synthesis, jitter-filtering phase lock loops (PLLs) and selectable Forward Error Correction (FEC) codes. "Telecom system vendors look to Broadcom for the solutions necessary to manage the exponential increase in traffic driven by video and other high bandwidth multimedia applications," said Lorenzo Longo, Broadcom Vice President and General Manager, Physical Layer Products (PLP). "Built on our field-proven 10G/40G Ethernet PHY technology, our new line of multicore Framer/PHYs combines the higher density, lower power and unprecedented level of integration required to enable the next wave of optical transport networks." Sampling is underway and volume production is slated for Q2 2013. Ericsson introduced a network processing chipset that integrates thousands of processing cores to enable products that can scale from 100Gbps to 1Tbps and applications that support millions of subscribers. The SNP 4000 ASIC, which was developed in-house, features a hyper-threaded, completion architecture that runs the Linux OS with full support for GNU based C/C++ tool chain. Ericsson also announced that its IP Operating System , which currently runs on its flagship SSR 8000 family of Smart Services Routers, will be extended to cover all Ericsson IP products. The company is currently showcasing its MINI-LINK SP 415 and MINI-LINK SP 420 running Ericsson IP Operating System. Fusion-io has acquired ID7, a start-up developing software defined storage (SDS) solutions, for an undisclosed sum. Established in 2006, ID7 is a UK-based storage technology company specializing in the development of storage software solutions across all types of interfaces including iSCSI, Fibre Channel and InfiniBand. The ID7 engineering team is the primary developer of the SCST storage subsystem, which is a SCSI target subsystem for Linux operating systems that enables advanced functionality, including replication, thin provisioning, deduplication, high availability, and automatic backup on any Linux server or appliance. 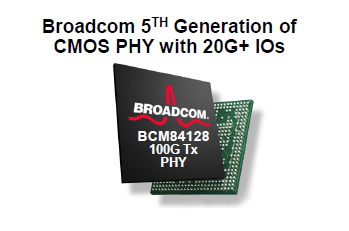 Broadcom introduced a CMOS transmitter PHY for long-haul, regional and metropolitan data transport. Broadcom's BCM84128 100G transmitter achieves an aggregate data rate of 128 Gbps with a power consumption level of only two watts. The transmitter, which is implemented in 40nm CMOS, provides a full-rate clock output at 32 GHz and a half-rate clock output at 16 GHz. Advanced features such as clock and data skew control adjust the lane-to-lane skew and the date-to-clock skew on the line-side interface. The device could be used to enable 100G optical modules and line-card designs. "The BCM84128 high performance transmitter PHY reflects the industry-leading innovation we are known for, allowing OEMs to leverage 100G PHYs developed in standard CMOS process technology with its inherent advantages of lower power and reliability," said Lorenzo Longo, Broadcom Vice President and General Manager, Physical Layer Products (PLP). "Today's introduction provides Broadcom with the opportunity to participate in a new market segment and pave the way for 100G optical transport." Comcast is doubling the speeds of two of its most popular XFINITY Internet speed plans, Blast! and Extreme 50, in California. Specifically, the Blast! plan is increasing download speeds from up to 25 Mbps to speeds up to 50 Mbps and upload speeds from up to 4 Mbps to up to 10 Mbps, while Extreme 50 customers will receive download speeds up to 105 Mbps (formerly 50 Mbps) and upload speeds up to 20 Mbps (formerly 15 Mbps). Comcast is also increasing the speed of its widely used Performance plan by more than 60 percent to 20-25 Mbps downstream and 4-5 Mbps upstream. There is no additional cost to the plans. 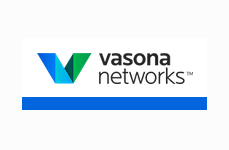 Vasona Networks, a start-up based in Santa Clara, California with R&D in Tel Aviv, raised confirmed that it has now raised $22 million to date, including a recent $12 million Series B round. The company recently introduced its SmartAIR1000 edge application controller to address cellular bandwidth congestion. Vasona's edge platform works with mobile traffic across all applications, at granularity of every cell in a network. It assesses and acts on congestion based on exactly where it is occurring and what is causing it. Bandwidth is allocated to each application in real time for the best overall subscriber experiences. The venture capital financing was led by Bessemer Venture Partners, with participation by New Venture Partners and a strategic investor, all of them participants in the company's Series A round. "During the last few years, Vasona Networks has rapidly defined, developed and validated its platform, establishing a new category of solution for pressing mobile operator needs," says Bob Goodman, a partner at Bessemer Venture Partners and member of Vasona Networks' board of directors. "This new financing positions the company to fulfill and build on the strong demand it's experiencing." Ericsson is expanding its line of SPO Packet Optical Transport Platform (POTP) products with a new SPO 1485 Multiservice DWDM system for the metro core. The new SPO 1485 offers 10 Gbps service connectivity, 10 Gbps transport and low-latency, long distance coherent 100 Gbps transport. Network operators leveraging Ericsson’s SPO 1400 POTP family have the flexibility to use DWDM, packet, OTN or SDH (Synchronous Digital Hierarchy) switching and transport where needed. Tomislav Migotti, Head of Optical & Broadband Access, Ericsson, says: "Our customers like the scalability and flexibility that our SPO 1400 metro regional/core solution offers. With the SPO 1485, operators now have the flexibility to balance between deploying a SPO 1480 POTP for OTN/Packet and SDH switching and 100Gbps transport or the SPO 1485 for simple multiservice DWDM 10Gbps and 100Gbps transport. With end-to-end management from IPT NMS and our Optical Network Planner, operators can plan, deploy and manage their greatest asset – their network." Xilinx introduced its new Zynq-7100 All Programmable SoCs designed for programmable systems integration requirements of next-generation 'smart' wireless, broadcast, medical and military applications. The new device combines digital signal processing and ARM processing capabilities. 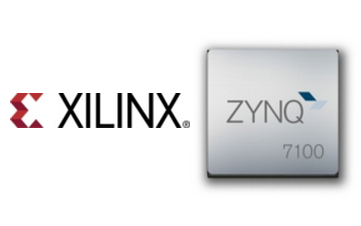 Xilinx said that by integrating all these programmable technologies (hardware, software and I/O) onto a single device, its Zynq-7100 All Programmable SoC reduces both the bill-of-materials (BOM) and power consumption compared to multi-chip solutions. "Our new Zynq-7100 device sets a new industry benchmark with greater than twice the signal processing capability of the most advanced All Programmable SoC available to date and is set to accelerate Zynq's already rapid replacement of ASIC & ASSPs in high performance signal processing applications," said Lawrence Getman, vice president of processing platforms at Xilinx. 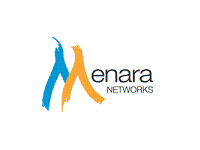 Menara Networks introduced a full C-band tunable XFP with integrated G.709 OTN framing, enhanced forward error correction, and Ethernet Monitoring capabilities. The new “System-in-a-Module,” in addition to G.709 OTU2 framing, Forward Error Correction (FEC), tunability over 102 channels on the ITU-T 50 GHz C-band grid and advanced optical features such as automatic receiver threshold adjustment and SBS suppression, also offers Enhanced FEC at higher coding gain, ODU2 client access, Ethernet payload monitoring, and OTU General Communication Channel (GCC) access via the 30-pin MSA connector. The device is Telcordia qualified and MSA compliant. OSNR and receiver sensitivity is rated at 15 dB and -29 dBm respectively. The module is a true replacement for DWDM transponders. The company says it delivers error-free transmission over distances exceeding 2,000 km.